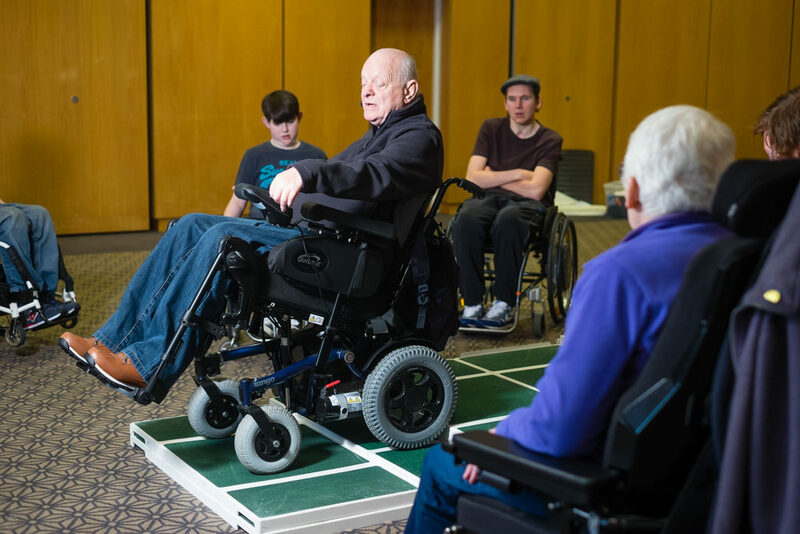 Back Up’s wheelchair skills trainers deliver sessions at all the spinal cord injury centres in the UK, general hospitals and on our residential courses. All our trainers have a spinal cord injury and the sessions cover everything from pushing technique and back-wheel balance to ascending and descending stairs. We run sessions for people using both manual and powered wheelchairs. If you have a spinal cord injury and want to help people improve their skills and confidence, why not join our team of experienced trainers? To apply, please email our outreach and support team with your completed application form or give them a call on 020 8875 1805 if you would like to have an informal chat about the role. Our next training weekend will be taking place from the 12 – 15 April 2019. If you are interested then please fill in the application form below and send it in. We will then contact you for the next round of recruitment.